Hitachi has announced it will suspend work on the Wylfa Newydd nuclear power station in Anglesey. 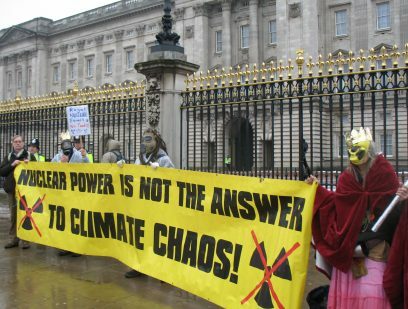 Anti-nuclear campaigners have welcomed the announcement. “Today’s decision is good news because it opens the door to investment in the renewable technologies of the future, and to leave behind dirty and dangerous nuclear power. “Hitachi’s decision proves once again that there isn’t an economic case for new nuclear – certainly not when renewables like offshore wind are cheaper sources of energy. “There also isn’t an environmental case for nuclear. Governments avoid talking about nuclear waste because there is no solution to it, and the threat nuclear accidents pose to the environment and human health are as real as they were before the Fukushima disaster in 2011.